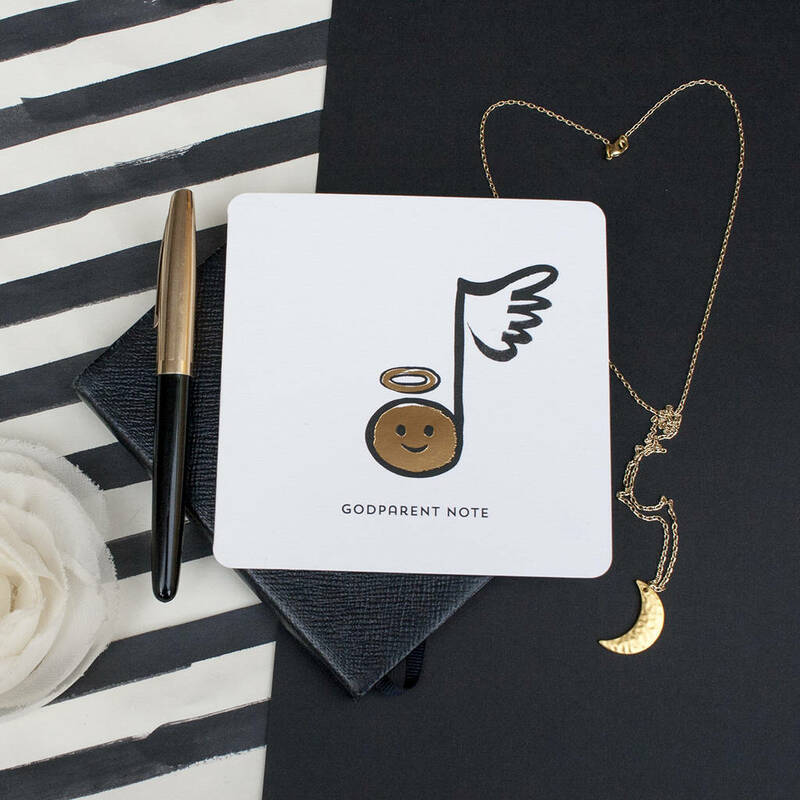 A playful yet elegant God parent card of a happy music note with a halo over its head and a feathered flag. 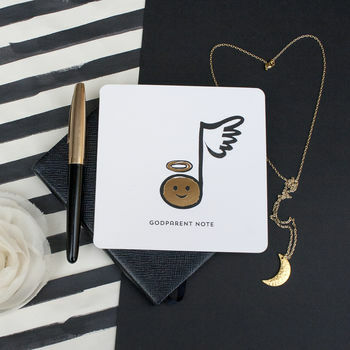 The caption reads 'Godparent note' Hand painted with brush and ink and gold foiled. The card is blank inside for your own special message. 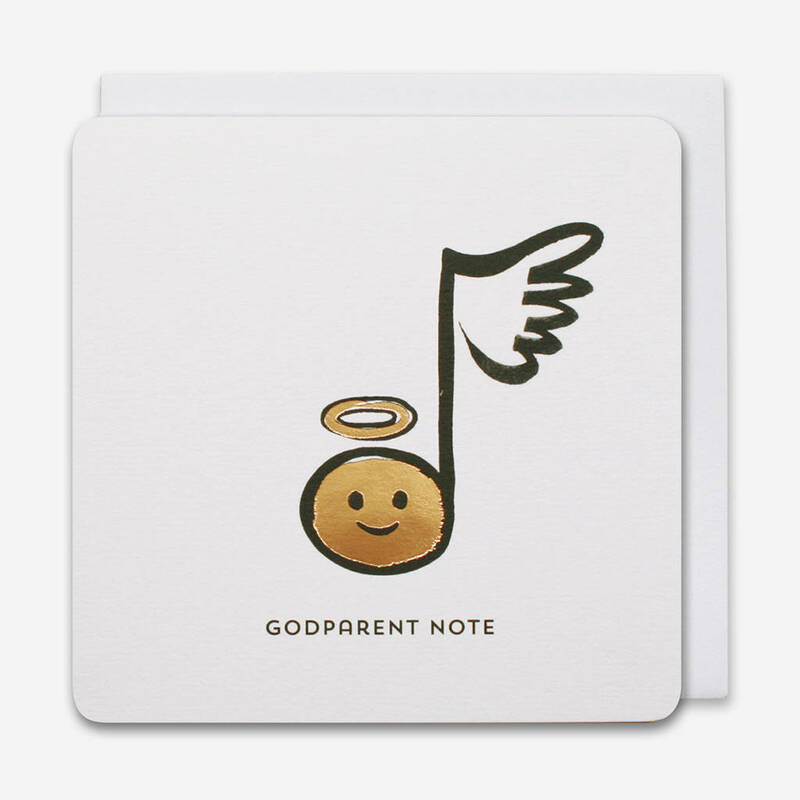 An ideal card for a Godparent to give to their God child.